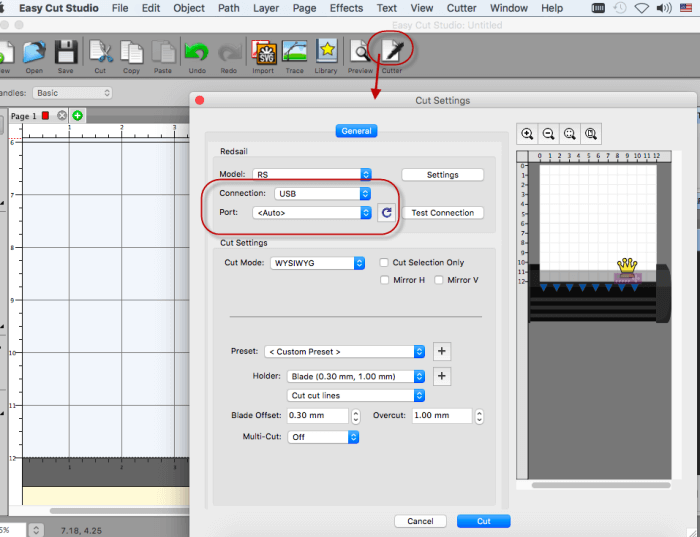 We are excited to announce that Easy Cut Studio has been updated to version 4.1.03. This latest version is fully compatible with Redsail Vinyl Cutter. From now on, Redsail Cutting Machine Users can easily use Easy Cut Studio to design. Easy Cut Studio is a professional sign making and vinyl cutting software available for Mac and Windows. In this industry, it’s well known for its easy design layout and customizable cutter setting. This software is compatible with hundreds of vinyl cutting machines but Redsail vinyl cutter wasn’t available before. After receiving suggestions from couple of Redsail users, we immediately contacted the technicians of Redsail Cutting Machine manufacturer. With their assistance, finally this software is perfectly compatible with all Redsail Vinyl Cutters. Now both Windows and Mac users can enable Redsail Cutter using Easy Cut Studio and make direct cutting. Combining Redsail Cutting Machine with Easy Cut Studio turns into a monster which takes your sign making work into whole new level. 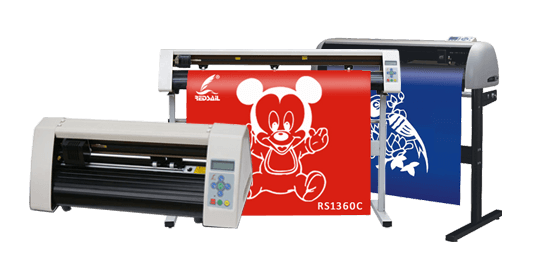 To use Redsail Vinyl Cutter in Easy Cut Studio, we first have to specify which machine you will be using. From the Cutter menu select My Cutter > Manage Cutters. From the various available options, select and add Redsail to My Cutter List. From the Company/Brand drop-down menu select Redsail. From the Model drop-down menu select RS and the click Add to list. Create or import your design and click the Cutter icon from the toolbar. and then it will open Cut Settings window. In this window, please select the appropriate Connection type and Port. Keep the other parameters as it is by default. and then click the Cut button. If there’s any problem, please make sure that the right driver is installed or contact our technical support for help. For Mac user, Please download the Redsail USB Driver for Mac here and install it. Easy Cut Studio is currently the only vinyl cutter software on the market that can drive the Redsail cutting plotter on a Mac computer. Redsail is a manufacturing company based in China and specialized in manufacturing cutting machines/plotters. Redsail mainly manufactures low-cost, high-quality desktop cutting plotter, graphic plotter, laser engraving machine etc. Our products have already been sold to dozens of countries all over world. Our motto is "Provide quality products for the best price and flawless support". 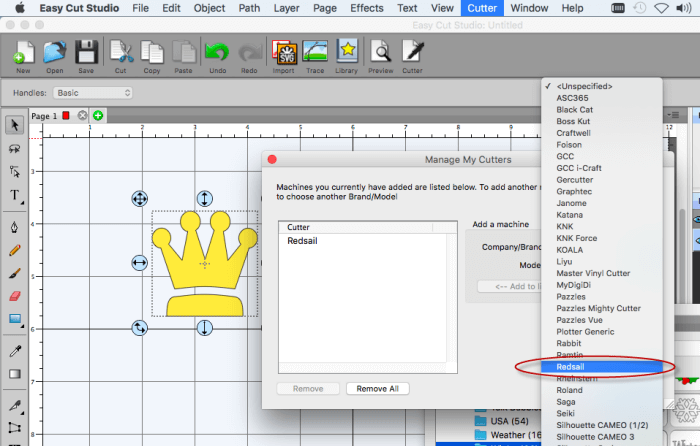 How to setting up your GoldCut JK Series Cutter on Mac? How to maintain the vinyl cutter, plotter? How to select a computer cutting plotter ? © 2018 EasyCutStudio.com. All rights reserved.